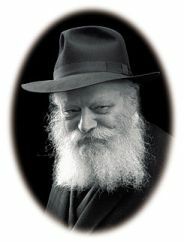 The reason that my father-in-law, the [Previous] Rebbe, related this episode and instructed that it be publicized is in order to increase the spiritual energies endowed to each and every Jew to accomplish this. Since the episode occurred with a “Nasi,” of whom it is written: “The Nasi is everyone,” it endows spiritual energy within every single Jew. This is especially so since it did not just take the form of a verbal Torah discourse, but of an action. Moreover, the fact that it was revealed and publicized by a Nasi increases this endowment of spiritual energies further still. Sefer HaMa’amarim Melukat, Vol. 4, p. 26. See there for the specific episode and its lesson. The Leader of the Generation. I.e., his soul includes all the souls of his generation. See Rashi on Bamidbar 21:21 and Likutei Sichos, Vol. 18, p. 165. Everything a Jew sees and hears holds a lesson, as the Baal Shem Tov teaches. An episode that occurs to the Nesi’ei HaDor, the Leaders of the Generation. Here the lesson is even stronger, for the very fact that it happened to them affected the entire generation and endowed the people of that generation with extra inner strength—even if they don’t know it. Thus, when the story is told, even by a non-Nasi, the episode has an even greater impact. Thus, an episode that occurred with one of the Rebbeim has already had an impact on the entire generation, and has a special power to inspire the generation further. Let us take advantage of this sublime divine gift and study these stories carefully, deriving the necessary lessons and implementing them.